These Peanut Butter Mocha Chocolate Chip Muffins are just as delicious as the amazing treats in the glass case at your favorite coffee shop. 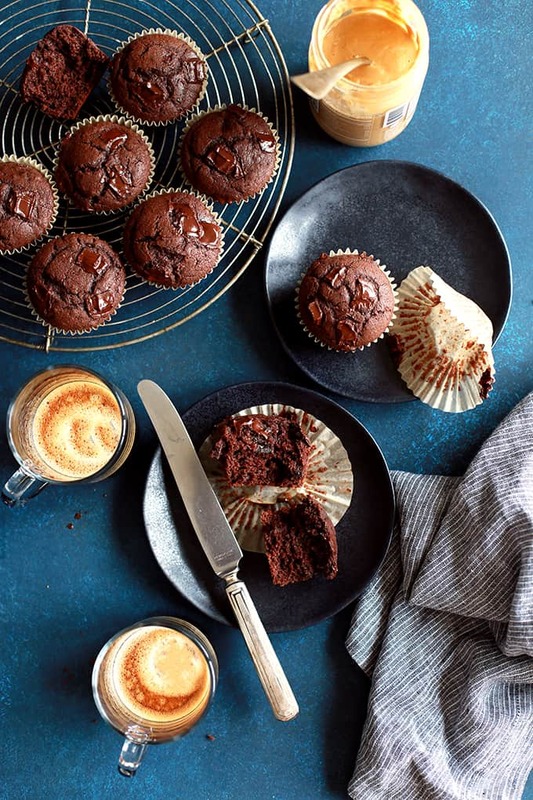 A super moist peanut butter and mocha muffin studded with chocolate chips. Indulge away, my friends – you deserve it. Long live the delicious chocolate and coffee flavor combination! I’m just like so many others. A busy mama juggling several balls and trying not to let any of them drop. 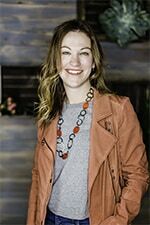 In all of the hustle and bustle each morning of trying to get the girls off to school, making sure everyone gets breakfast, has their backpacks and we get on our way to school in time, the person I think of last is myself. While I may have played these Peanut Butter Mocha Chocolate Chip Muffins off as a treat for my family, they were most definitely first and foremost a treat for myself. I may or may have not taken to rewarding myself a couple of times a week after successfully orchestrating the morning routine by hitting my favorite caffeine establishment. I hadn’t been a coffee drinker until last fall when I was offered a free drink. To be kind, I accepted it, knowing that I wouldn’t drink it as I didn’t like coffee. I’ll admit it, I was wrong! Hello! Mocha = CHOCOLATE + coffee. I was instantly hooked. And then of course, I had to take it a step further and these Peanut Butter Mocha Chocolate Chip Muffins were the end result. If you’re anything like me, when you make a stop for your favorite coffee, you’re also tempted by the amazing treats in the glass case. 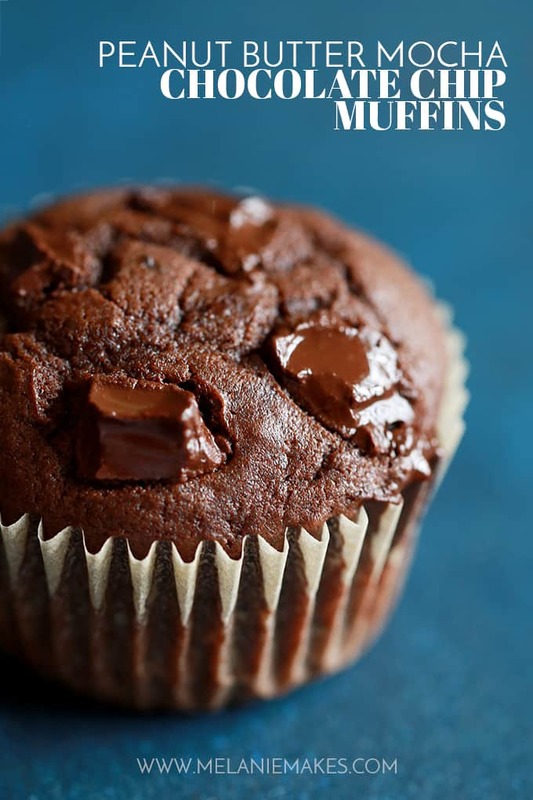 These Peanut Butter Mocha Chocolate Chip Muffins? They’re definitely coffee shop worthy and even include coffee as well. 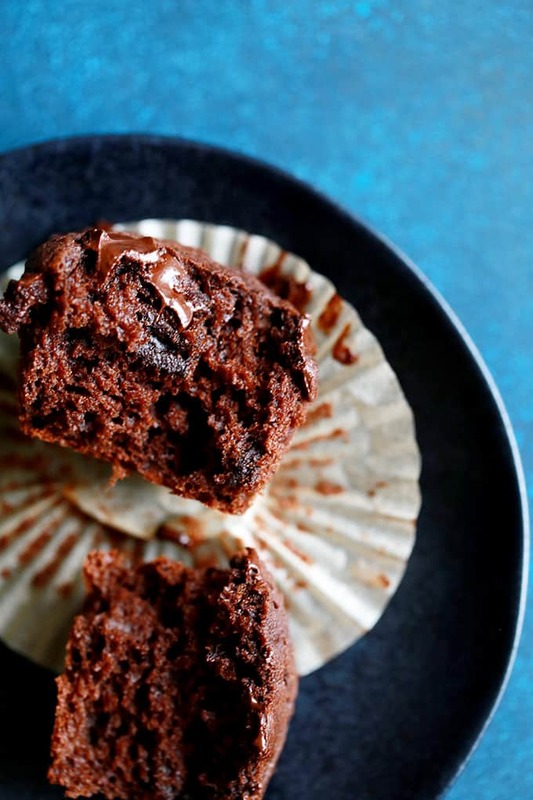 A super moist peanut butter and mocha muffin studded with chocolate chips. Indulge away, my friends – you deserve it! Fellow mocha lovers, you’ll also fall in love with my decadent Peanut Butter Mocha Poke Cake, cookie jar favorite Homemade Oreos with Mocha Filling and cool Mocha Coconut Frappuccino Pie. Long live the delicious chocolate and coffee flavor combination! These Peanut Butter Mocha Chocolate Chip Muffins are just as delicious as the amazing treats in the glass case at your favorite coffee shop. 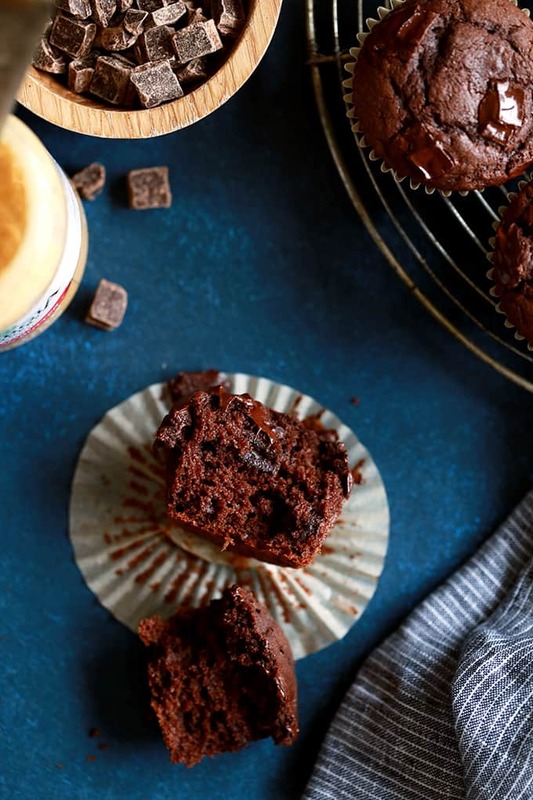 A super moist peanut butter and mocha muffin studded with chocolate chips. Indulge away, my friends - you deserve it. Long live the delicious chocolate and coffee flavor combination! In bowl of mixer, cream together butter, peanut butter and sugar. Stir in eggs, vanilla and brewed coffee. Add cocoa, flour, baking powder, soda and salt and stir until just combined. Fold in chocolate chips. Fill lined muffin tin cups using large cookie scoop. Bake for 20-25 minutes, until toothpick inserted comes out clean. Let cool for five minutes before removing to wire rack to cool completely. 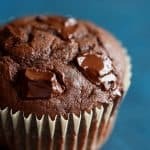 I love the contrast of peanut butter and dark chocolate so I chose to use dark chocolate chips in my muffins although they're equally tasty if you choose to use semi-sweet chocolate chips. Looking for even more ways to include that delicious mocha flavor in your life? I’m betting you’d enjoy these Chocolate Mocha Snickerdoodles, swoon worthy Mocha Brownie Ice Cream Cake and refreshing Cold Brew Iced Mocha Pops. Can instant coffee mix or granules be substituted for the brewed cup of coffee? Hi, Ginny - I haven't tested this recipe using gluten free flour but you could likely use something like Bob's Red Mill Cup for Cup with good results. Oh these muffins are calling my name! I cannot wait to devour one! Loving the flavor combination in these muffins! Definitely a tasty and well deserved treat! Now this is exactly what I want to have for breakfast in the morning!!! I love those chocolate chunks! All these flavors! A must try recipe! My kids would definitely love to have these in the morning! 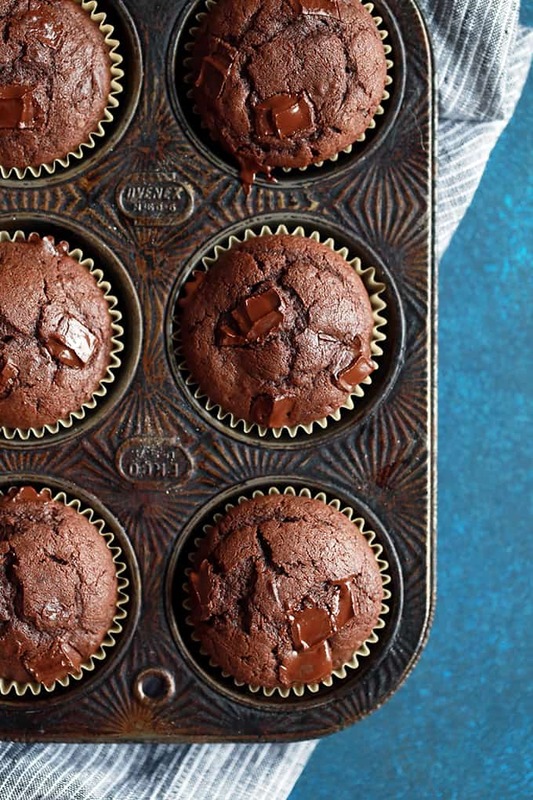 These muffins look so tasty and perfect for a quick breakfast! SO, where is the flour??? ?Is it an omission? Hey, Liz -Thanks so much for catching that! I've added it to the ingredient list. Let me know if you try them! I wondered about that! I added 1 cup of unbleached flour as a compromise. Trust me, the boys in my family gobbled them anyway! Awesome - so glad you and your family enjoyed them!